Hills of grass rippling with the breeze surrounding a centuries old stone stronghold guarding an international waterway. England? Scotland? Wales? No. Not Ireland, not France, not Spain. Fort Crown Point in New York. 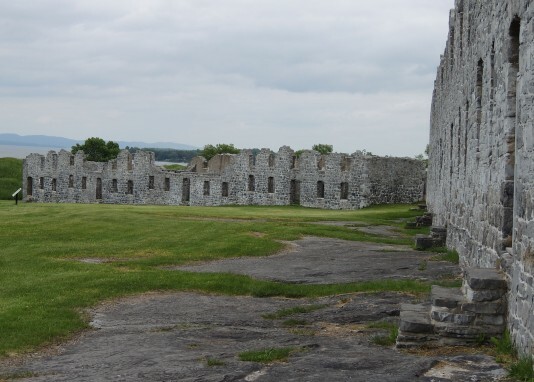 Fort Crown Point, 14 miles north of Ticonderoga, has been a militarily strategic point ever since the British and French first started arguing over Lake Champlain. The first fort to be built on the site, Fort Saint-Frédéric, was constructed in 1734 by the French. It stood for 25 years, guarding the wilderness between New France and the British colonies to the south, before being destroyed during the French and Indian War in 1759. Interestingly, although the British did target the fort twice during the war, it was the French themselves that destroyed it as they retreated before the advancing 10,000 man British army. General Jeffery Amherst, who led the advance, went on to push the French Army into what is now Canada. 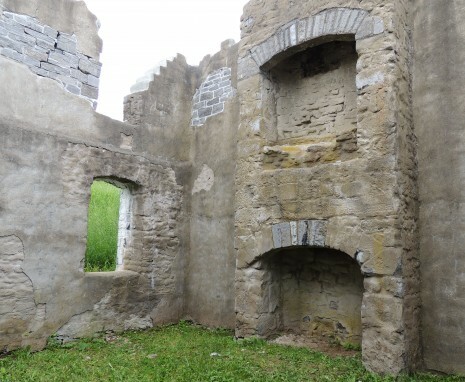 During that winter a new fort was constructed just 1,000 feet from Fort Saint-Frédéric and named Fort Crown Point, after the French name for the peninsula Point au Chevalure. This fort was never attacked and was used mostly for staging rather than defense. After the French and Indian war ended only a handful of British soldiers and officers were stationed at the fort. Only nine men total were at Fort Crown Point when 100 of the Green Mountain Boys, led by Capt. Seth Warner, sailed up the lake and took control in May of 1775. To the Americans, the fort and the 111 cannons stored there were invaluable. The canons were sent east to drive the British out of Boston Harbor while the fort was used as a staging area by Benedict Arnold and his Lake Champlain navy. When that navy was destroyed in 1776, the fort was abandoned. A year later it was once again under British control, but abandoned for good in 1780. 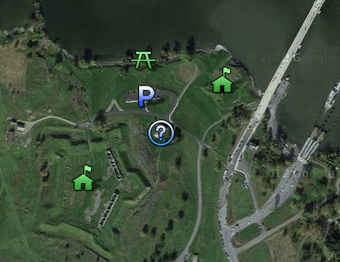 Today all that can be seen of Fort Crown Point are the large earthen walls, in the shape of a five pointed star, and the stone ruins of two barracks. Of the original Fort Saint-Frédéric all that is left is a four sided earth and limestone mound. 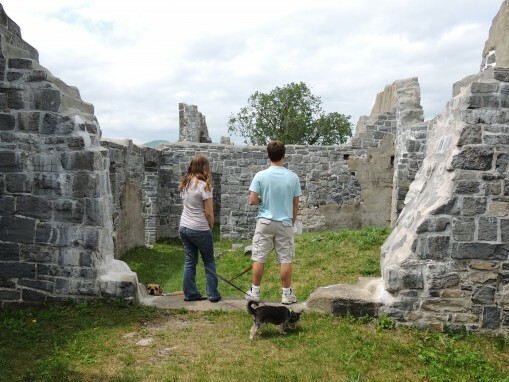 Victims of vandalization and looting, both forts now combine to form the Crown Point State Historic Site, and are listed as U.S. National Historic Landmarks. Crown Point State Historic Site isn’t too close to much of anywhere, but it’s one of those places that is worth the drive. Just plug in the address – 21 Grandview Drive, Crown Point, NY – into your GPS and enjoy the journey as much as your destination. 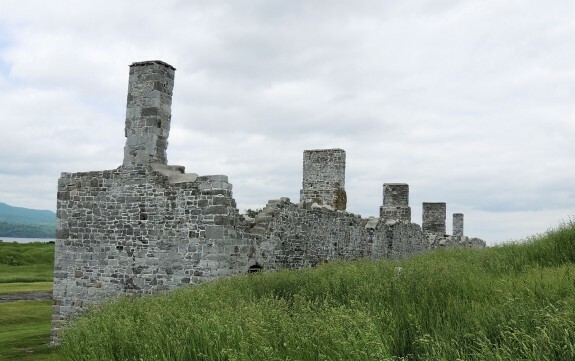 We drove up the west coast of Lake George and through the town of Ticonderoga, which houses another historic, albeit more famous, fort. Cross the Lake Champlain Bridge and tour Chimney Point Historic Site in Vermont. Also located on the Vermont side: The Bridge Restaurant, open seven days a week, year-round! It’s hard to imagine that this would be found in New York! I always picture New York as this bustling city that never sleeps. Good to know that there are still places like these. But I am very glad to have widened your New York perspective!